Now that the tournament is a sure go, we need to recruit 2 more registrants for the team to get the 10% free discount as part of team registration at MC. I, Ahyan, Shafieen, Brendan and one other frind of his, Keith, Daaim and Konstantinos Tsoukalas are now grouped under team code 003 and we are 8 now. So if we get 2 more people to join us, we will get the 10% refund at 1st week of October. That 1000 registration fee back, we will divide among all of us - so each of us will get back $100. If we get more people, we will shoot for 25 people team to increase the discount to 12%. Its simple math! For example, GM Sam Shankland is also forming a team. The main benefit of registering as a team is the discount. However, I think they have some group hotel registration facilities as well although I wont need hotel accommodation as I my son Ahyan Zaman has won the hotel accommodation in the early bird lottery in Planet Hollywood! See you in Vegas this October for a great chess vacation and fun! Millionaire Chess Open is a Go - despite all the doubts! I was very excited when I first heard about Millionaire Chess and opened a thread in chess.com forum to know the reactions of fellow chess players. But today I want to focus on the doubts and skepticism about the tournaments by some chess players. Any high stake initiative is bound to have oppositions. My idea is to identify the reasons and try to explain it to myself and if asked to others why those doubts are rootless. The fact that Millionaire Chess is taking place despite the total number of registrants 6 months before the tournament is lower than the expectations of the organizers, dont make it a failure. Its quite the opposite and proves how bold and confident the organizers are. You can consider it as a miscalculation by the organizers. And sure they learnt few things from this venture that they would never learn by following theory. They had to walk the walk. In my opinion, as many other pointed out, its perfectly normal that the number was not more than 76 by end of March. I must admit that I myself was thinking there will be 300/400 registrants, but that was a wishfull thinking as I wanted the tournament to happen. Why many people are so skeptical about this high stake chess tournament idea? Because there is big money involved along with big registration fees. But one reason I never became skeptical was when I saw the person behind this initiative is GM Maurice Ashley. I understand despite being chess player, many of you will not know enough about him, or will not rely enough on his reputation only as your $1000 of registration fee is at stake. But when you buy a stock, you try to know the companies past performances - the same way try to know this guy and Amy Lee before investing your money. I dont know much about Amy Lee but the fact that Maurice Ashley is involved, tells me I dont have to worry about my $2000 (my and my son's registration fees) being wasted. From Amy Lee's blog, what I can see is that she is not a person to expect a one time big profit and disappear. She is investing with a long term plan and hence have picked the right partner. 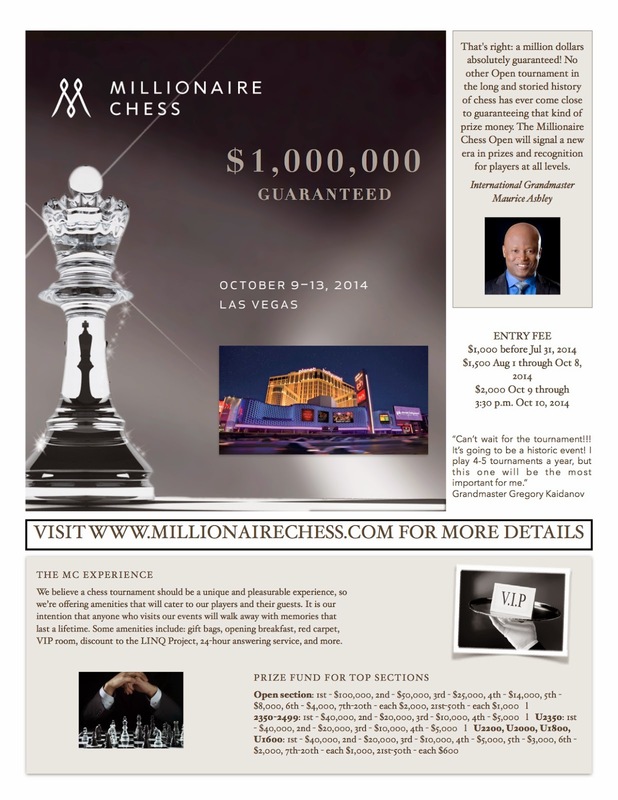 Millionaire Chess LLC does not need to make all the profits at the very first event this year. If they can barely manage with minimal loss, break even or some negligible profit, that should be good enough for them to make it a recurring event every 2 years. That's when they will make money because all the doubts will be clarified to broader chess audience. One of the big puzzle on my mind last 1 month was, due to the low registrations, if Maurice had to declare the tournament as a No Go (which last few days I thought was given); what happens to his time and energy invested as well as the reputation lost due to miscalculation on early registration expectations! When I knew that its a GO, I understood this guy is way too ahead of us in thinking. 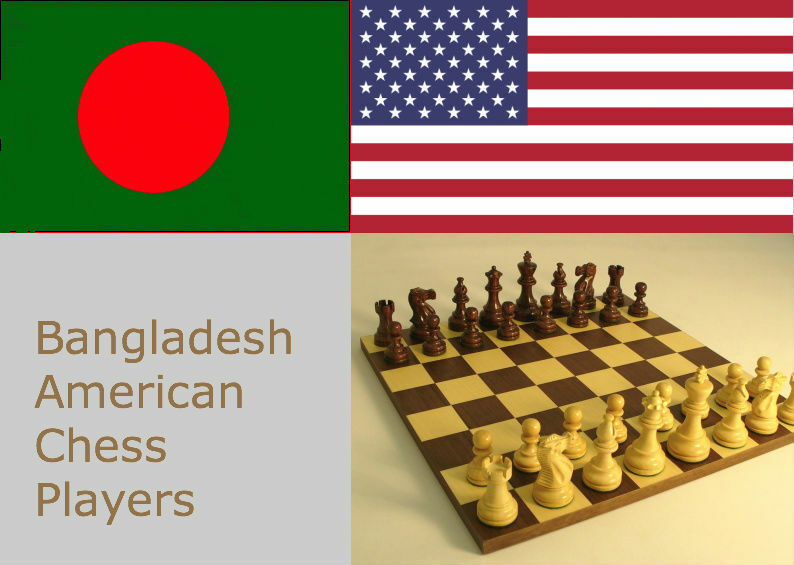 He has picked the right investor in Amy Lee, the correct time to invest on chess when internet has benefited chess the most compared to any other sport and a sector that he can leverage in many ways, other than his love for the game. For example, think about his works with MIT Lab and the potential of the experiments being applied in neuroscince. If you think he is just looking for this 1 million dollar or the 1000 in your pocket, I would say his reach is well beyond that. But of course he needs to make this event successful first. For us, chess players, it's a win win situation if the tournament happens. We are going to spend 1k in registration and another 1k to 2k (depending on from where you are flying in) of expenses to have a great chess tournament, media exposure, fun chess vacation and some hope to make a few bucks. But if you can't pay the price to ride the business class in the flgiht, dont blame the airlines company why they created economy and business classes in the same flight. Just buy your economy ticket and ride that. You don't have to play in Millionaire Chess if you dislike the idea so much. But your negative remarks are probably going to hold off some players who are in the edge of deciding whether to register or not. However, as a chess player I and as organizers MC will want you to be there. Let the chess players decide if the whole experience is worth the money and time (many of us have to take a few days of leave from office also). Some of us who are trying to convince them to come is for obvious reason - we want it to be a more succeful and competitive event. But I dont understand why some people would want others to stop coming to this event. Is it that they are fighting for the truth or justice or some noble idea? I hardly can believe it. One obvious reason can be that if I can't afford it, I wont let others consume it. But those people are not too many. Some reasonable sounding people are also against the idea or had doubts too. And I wonder what they gain if this event does not take place. Please don't tell me MC will make lot of money or cheaters are going to take away your money. These are too cheap reasons and can easily be discarded with sound logic. I dont even want to waste time attempting to explain. But I am looking forward to exact reasons of why they dont like the idea of high stake chess. While there are too many positive sides, can we start with a list of negative sides? Let me start the list and you can help by adding to the list. The idea is that we can start attacking the list one by one. The ones I am listing below, I can justfiy each of them to be invalid, at least from my point of view. But there may be more which I wont be able to justify and we can then try to reach out to MC for their views on those. Rajnikant is a famous South Indian Actor and if you haven't heard of Rajni jokes, then I recommend you to check out a few sites online first before you see my tiny contribution to this vast wealth. Here is one that I thought of. Question: Why did all time greatest chess player Garry Kasparov retired from chess when he was still the number one chess player in the world? Answer: Because Kasparov heard that Rajnikant decided to play chess!